Why use Atlanta Aviation and our AeroPrint Finishing? AAI uses certified basecoats and clear coats for processing the AeroPrint to meet all the FAA FAR 25.853 burn, smoke, and heat requirements. Less weight than using real wood veneer which in most cases only meets the vertical burn requirements. AAI is able to decorate complex shapes that one cannot decorate utilizing real wood veneer and/or laminates.  Atlanta Aviation is a FAA Repair station where we can return a part to service with an FAA 8130-3, if needed. AAI has years of experience in preparing the parts for decoration and applying the AeroPrint films to various components. AAI's customers have many aircraft flying that has utilized the AeroPrint process. Once the interior is complete and back in service, should damage occur to a decorated part, AAI can replace that part with the exact same design and look. When a major refurbishment occurs only damaged components need to be processed saving the owner thousands of dollars.